Dr. Jimenez Quintana is a Fulbright Scholar from Mexico. He will be researching the strategies that teachers in the United States apply to contribute to the adaptation, academic success, and cultural identity of bilingual migrant students from Mexico. Dr. Rafael Mies is the Coca Cola Andina Full Professor of Human Capital at ESE Business School (Universidad de los Andes Chile www.ese.cl) and currently teaches the second year courses of Human Capital and Leadership in the Executive MBA program. Dr. Mies will be collaborating on a research project with Dr. Jaime Camelio of Virginia Tech and Dr. Cheryl Getz of University of San Diego. Dr. Stefano Olmeti is a leadership coach and practitioner. His research at the School of Leadership and Education Sciences aims to use Otto Scharmer’s Theory U as a framework to conceptualize and experiment with novel approaches in leadership development designed to leverage mindfulness-based practices. He looks forward to teaching Mindfulness and Leadership. Dr. George Vera has been working extensively in the counseling field for over 30 years. 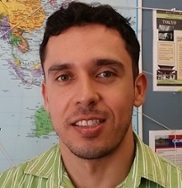 Recently, he was leading two research teams; one on developing reflective counseling practitioners employed by the Regional Department of Education (Zulia State, Venezuela), and a second research team on social justice, inclusion, equality, and public policy issues on the field of counseling professional practice for the Psychology Department (The University of Zulia, Venezuela). Robert Daughtery is currently serving a five-year term as a Fulbright Scholar Specialist, a program funded by the U.S. Department of State’s Bureau of Educational and Cultural Affairs. He is focused on working with College and University Presidents and Boards in Africa/Middle East. Mr. Daugherty has extensive experience in business and international higher education. Dr. Seiji Ueda participates in many social activities including acting acting as the Executive Director of the Japanese Association of School Health. He is also a collaborator of the development of the national curriculum in school health education at the Japenese Ministry of Education and Sciences. Dr. Fatimah Dashti is a visiting professor of Education Technology. She received her bachelor degree in Biology and Education from Kuwait University in 1981, and began working as a science teacher at Qayrawan Middle School in Kuwait. Dr. Dashti later acquired a scholarship to pursue higher degrees in education in the United States. She gained her Master’s in Educational Technology from San Diego State University in 1984, and her PhD in Educational Technology from the University of Colorado, Boulder in 1988. Dr. Dashti is currently an associate professor at Kuwait University’s College of Education, within the Department of Curriculum and Methods of Teaching. She worked closely with children with special needs and developed techniques in teaching computer to mentally challenged school children. Dr. Dashti is interested in the use of media and technology among children including those with special needs. Dr. Dashti can be contacted at ffdashti@yahoo.com. Lotte Svalgaard is a PhD fellow from Roskilde University in Denmark where, since 2001, she has been an associate professor in a master's program in organizational psychology. Her background is as a business psychologist and she is employed by Action Lab, Ltd where she designs and implements business-driven action-learning programs–often as a part of leadership academies or talent programs. 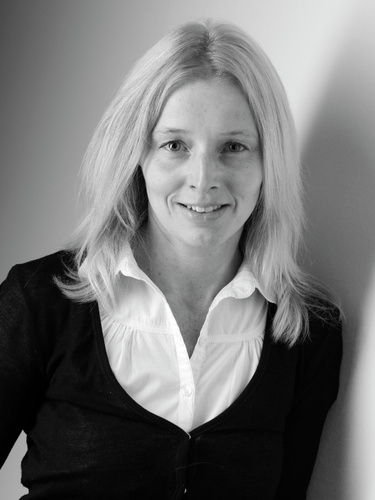 Since 2011, she has also worked at leading European business schools as an executive coach and consultant. She has extensive experience within group dynamics and group relations. It is her strong passion to help and support individuals and groups in creating self- and social-awareness, help them learn about individual, interpersonal and organizational dynamics, and contribute to more mindful organizations. The working title of her current research is How to enable and sustain mindful leadership and followership when ‘in the middle of it all’. She chose SOLES because of its reputation and knowledge-base within the fields of leadership, group relations and action research. Dr. Rosina McAlpine is an associate professor at the University of Sydney Business School and has a master's and PhD in Education. She is an internationally recognised, award-winning researcher and educator receiving five outstanding teaching awards at the faculty, university and national levels as well as five international best research paper awards. Since becoming a parent, she has been developing programs including the Inspired Children Life Skills Program to help parents overcome the challenges of modern day parenting using the latest research in child development. A keen researcher, Rosina has edited a book with chapters from leading minds around the world in psychology, neuro-science and biology for the book entitled Inspired Children: how the leading minds of today raise their children. At SOLES, her faculty host is Dr. Todd Edwards. She and her family will be in San Diego July 2013 to January 2014. Dr. Jeerawan Ketsing is a faculty member in the division of science education within the Department of Education at Kasetsart University in Thailand. Dr. Jeerawan will be a SOLES international visiting scholar from May 2013 to May 2014. She focuses on action research, professional development, science teaching and learning, and environmental education. The title of her SOLES-based research is Enhancement of Pre-Service Teachers’ Understanding and Practice of Inquiry Using Collaborative Action Research. She is happy to discuss her research studies and areas of interest. Courses she has taught and created include Environmental Education for School, Science Process Skills, and Research Studies in Science Education. Her SOLES faculty host is Dr. Noriyuki Inoue. Richard Ledborg Hansen is a PhD fellow from the University Copenhagen Business School Denmark, where he also teaches part time. He is the CEO of The Institute of Leadership Dynamics A/S in Denmark and his research is focused on leadership and organizational change; in particular the resistance to change in an open system psychodynamic perspective from the position of the middle managers role. He has co-authored a book on leadership (Danish) and for his international scholar program, he chose SOLES for its extensive experience and knowledge on leadership and he is looking forward to learning and collaborating with faculty far into the future. Dr. Nanako Ishiyama’s work as a psychiatrist at the Jikei University Hospital in Japan has been primarily with children and adolescents. Her research has focused on the recovery process of children suffering from depression, and on the early schizophrenia-like symptoms seen in adolescent patients with Asperger’s syndrome at the Japanese National Center for Child Health and Development. “There are no Family Therapy graduate programs in Japan,” she says, “so I am especially pleased to learn and collaborate with the professors and students in the Marriage and Family Therapy program here at SOLES. Dr. Atsushi Takei was a visiting scholar in SOLES from September 2008 to January 2009. In his native Japan, he works for the Graduate school of HUTE (Hyogo University of Teachers Education), one of the first professional schools for school leaders. He teaches 'fieldwork methods,' 'curriculum development,' 'community involvement for school' and others there. Apart from the graduate school program, he has launched an out service learning program for undergraduates as a project leader. Outside the university, he has organized training programs of curriculum development for school leaders in Hyogo prefecture. The programs were carried out as part of an in-service training for 1,200 school leaders in the past five years, approximately. He has published papers in organizational theory of school, leadership, and networking. His co-authored book titled, 'To Train School Leaders' is scheduled to be published in fall 2008. He used to work on Indian Education. His doctoral dissertation was on rural school in southern Indian village, published as a book in 2003, titled 'Ethnographic Study of a Krishnamurti School.' His current research focuses on networking of alternative practices in education, aiming to cope with social diversity.